How true these words are. When one looks back saying how did I get here it sure wasn’t over night it took time of doing and plenty of prctice, pratice, and more practice. I spent thirty years “practicing ” a trade (maybe?) I may have mastered it. I now am working on becoming a success in LIFE got many hours to go. You are taking the right steps Bill and are humbly venturing down an eternal road that will lead you to so much success in life and in LIFE! Very proud of you! Kristen, I really enjoy your writing. You are a living example of the 10,000 hr law of success. When Dave CHatmon shared your basketball success story this weekend at The Woodwards estate, I was blown away… again! I’ve heard it before,yet I still marvel at your commitment and tenacity to help your basketball team win the championship. It doesn’t surprise me that you have risen to the exceptional level of leadership in community building with the LIFE business. It is an honor to run life with you. Godspeed to your dreams and goals! Thanks for your comment Jeremy! Hey Kristen- great article! You have what it takes to get those 10,000 hours in on your way to the top!! Thanks for your example! Love ya! Thanks Joanne! I am so blessed to have you and Kurt in the battle with me! I am so proud of both of you! I have seen you both grow so much and it’s humbling to watch. I pray for a marriage some day that is as strong as yours! You have applied the 10,000 hour rule in swimming and many other areas and now you are applying it in LIFE! Looking forward to a great future with you both! Another important aspect of the overnight success model is failure. All too often the success is lauded and showcased but what gets overlooked are the setbacks along the way. 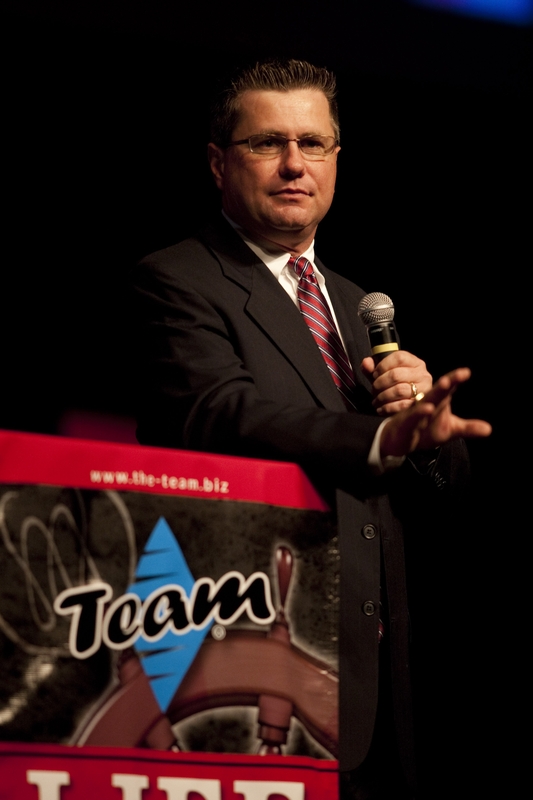 When Orrin Woodward talks about gladwells 10000 hours of mastery he correctly speaks of the setback, roadblocks, fallures that come during that period. It is the mark of a champion, master, success how he or she responds to those inevitable and necessary obstacles. it is in the PDCA process that individuals take the positive worthwhile elements of each endevour and apply to the next attempt. All the while refining and improving their respecitive craft or ability. The “overnight success ” is no mere single accomplishment but rather the culmination and continued improvement of a skill, craft, etc. It is a priveledge to be able to “rub shoulders” with a community of people who recognize what is needed to succeed. Thanks Kristen for leading the way. WOW Matt! Fantastic explanation! You are spot on! It has been so neat watching you grow and overcome obstacles that in many cases would have stopped ‘regular’ people dead in their tracks! You are a fighter in everything you do! I know that if you apply this 10,000 hour rule into LIFE (just as you have in fitness) you will be living a life that most could only dream about! The journey is worth it and I know you know that 😉 Very proud of you! hey Matt: You along with Kristen know what it takes to persevere despite falling you get back up and move forward. Proud to be associated with both of you. Bill I am truly blessed to be part of a community that loves folks where they are at and are right there when needed. Thank you for you continued insight! Great article Kristen, very inspiring. Her passion for this art is obvious and what a great treat that her parents are such great support. They understood the concept of delayed gratiffication, I can only imagine how long she practiced while waiting for this opportunity. Key point though she practiced while waiting, how many times do we want something and keep waiting for it, but do nothing to make it happen. Ten thounsand hours and more she put into this moment. Many of us are just starting our 10,000 hour journey in LIFE, and I am glad to have you and the rest of our team to walk this journey, that do get it and do support each other. Go Team Conviction, All In… for LIFE. Great insight Imelda! You are absolutely right… delayed gratification not only works for finances, it works for everything! It requires practice, patience and courage to have the faith necessary to fulfill the 10,000 hours to mastery. You are on your way Imelda and it’s a blessing to have you in the battle! Very proud of you! Awesome blog Kristen!! I really appreciate the leader that you are. Thanks for representing our age group so well. I really like this blog and it reminds me a bit of you!!! You are hitting huge leadership levels seemingly “all of the sudden” but I remember when you were hitting power player after power player. That doesnt happen by chance!! It just proves again, work while no one is looking and it will pay off. We are so proud to be working with hard workers like yourself!! Congrats on your accomplishments and we can’t wait to cheer you on along your journey!! Thanks for your comment Valerie! Hey Kristen! Love your article and so did my kids. The video was an excellent illustration and worked to explain the concepts clearly to a 5 and 6 year old (I think I got it too). We all appreciate your leadership! Thanks Jammie! I am humbled that you shared it with your kids. You and Richard are incredible examples of the 10,000 hour rule in many areas of your life and you both have always inspired me. Thank you for continuing to be a leader who chases after excellence and knows what it takes to have success. My daughter was practicing some of the moves she learned today. Said she can use them to defend herself, as well as dance. Kids are awesome! Thanks for your kind words. Thanks George, I am thankful for leaders like you and Jill who set the bar high for all of us to grow, serve and make a difference. Thank you for all you do for me, the team and the future of this great country.